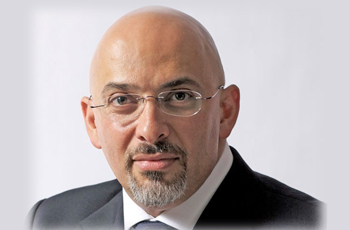 Nadhim Zahawi has served as Conservative MP for Stratford-on-Avon since 2010. Recently in the June 2017 General Election, Nadhim received 33,657 votes, which equaled a 62.9% majority, retaining his seat. Nadhim was born in 1967, and grew up in East Sussex. When Nadhim was selected, he promised that he would move to the constituency. Prior to this, he was the co-founder and previous CEO of YouGov PLC Nadhim also sits on the board of a FSTE 250 company. He's also been European Marketing Director at Smith and Brooks Ltd.
Nadhim unsuccessfully contested the Erith and Thamesmead constituency in 1997 but pushed the Liberal Democrats into 3rd place. From 1994-2006 he was a Wandsworth Councillor for West Putney. Whilst at Wandsworth Council, he served as the Vice-chairman of the Planning Committee, Chairman of the Policy Consultative Committee and Chairman of the Conservative Area Committee. He has a keen interest in protecting and maintaining conservation areas. Nadhim is also committed to supporting the schools that gave him an education. He has also worked on a series of campaigns including, the Simple Truth Campaign. He has now moved to Stratford-upon- Avon with his wife Lena and two boys.